By now we are all settled and rested from the whirlwind that is Dreamforce – the keynotes, the sessions, the networking, the parties, the after parties, the expo hall, the sponsors. This was my third Dreamforce with Lattice and like any other sponsor we did our best to attract and engage the crowds among the Cloud Expo. This year we partnered with SnapApp to create a quick survey to poll our visitors to get a better understanding of those interested in predictive marketing. For taking the survey, we offered some pretty cool t-shirts as a gift, hence some of the responses below. 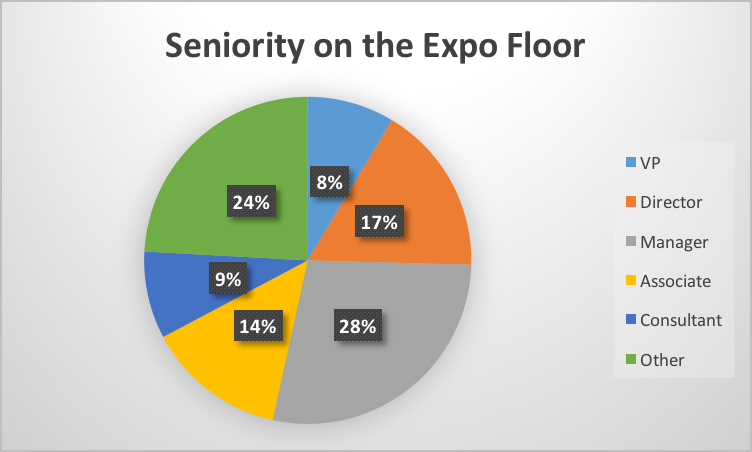 The majority of visitors fell into the marketing, sales and sales operations buckets, but we did see a lot of students, consultants and developers walk the expo floor. 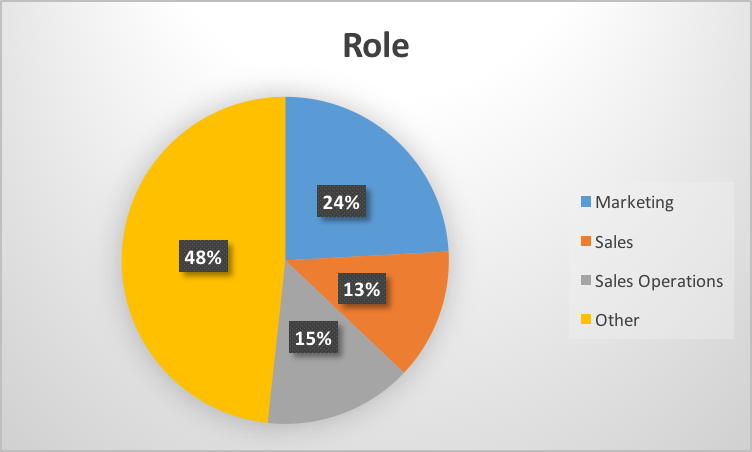 What’s more, 54 percent of visitors carried more senior titles within their organizations. This means real decision makers walking the floor and talking with vendors! Love it or hate it, Dreamforce is one of the biggest and most influential events in the sales and marketing space. It is always a fun, exciting and inspiring week learning about new technologies and strategies, but along with that fun, excitement and inspiration we have to deal with the swarming crowds, traffic, boxed lunches and long days/nights. So why do people do it? It’s all about improvement, education and networking! And a few honest souls were looking to score new swag and get out of work for a week. What’s keeping our Dreamforce visitors up at night? We polled our visitors on their top priorities for the New Year. The top three burning issues centered around sales efficiency, lead generation and targeted content creation. Like the marketing nerds we are, we wanted to get a better understanding of which platforms our visitors were using most. 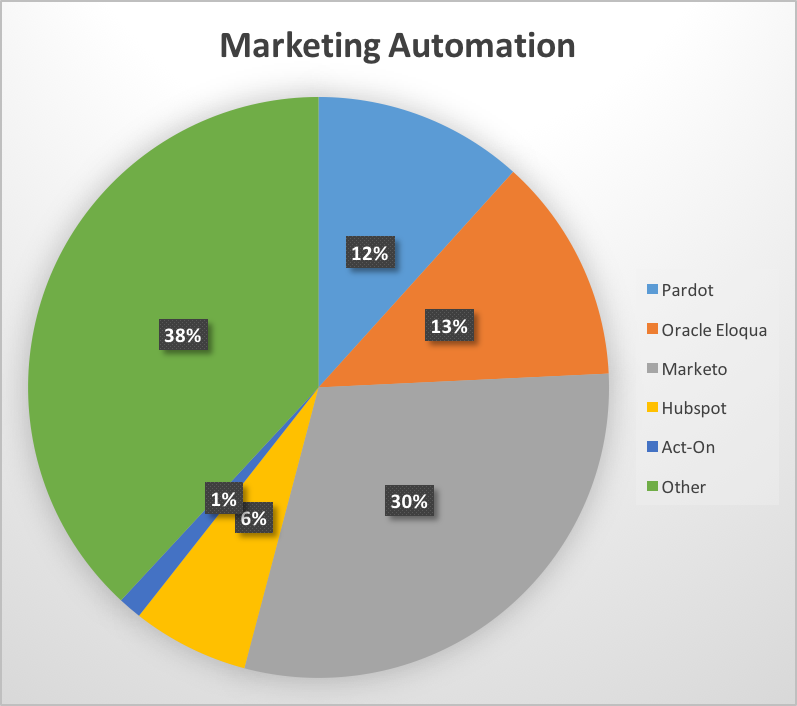 Surprisingly, of those who stopped by our booth, Marketo was the dominant marketing automation tool, coming in with 30 percent. To learn more about what we thought about the expo hall, check out our senior events manager’s take: Exploring the Cloud Expo at #DF15.